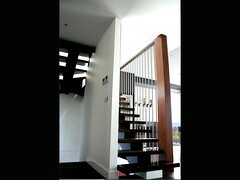 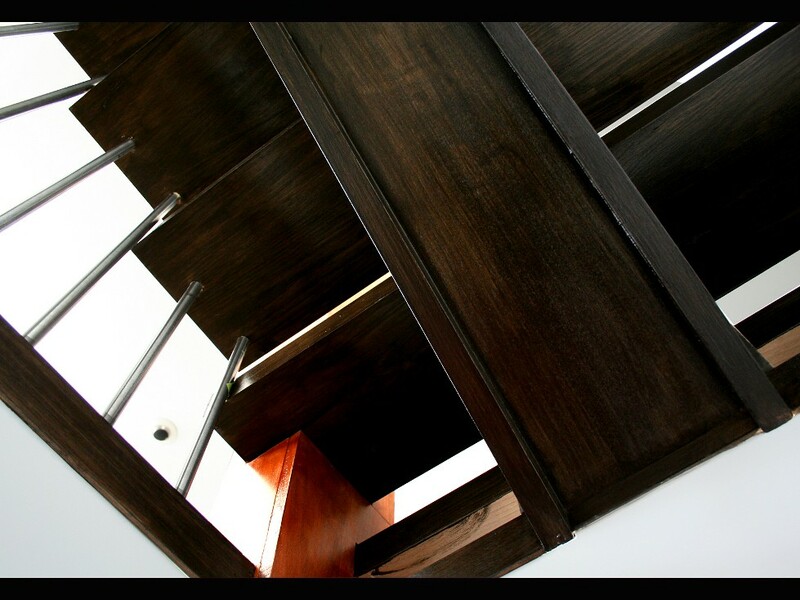 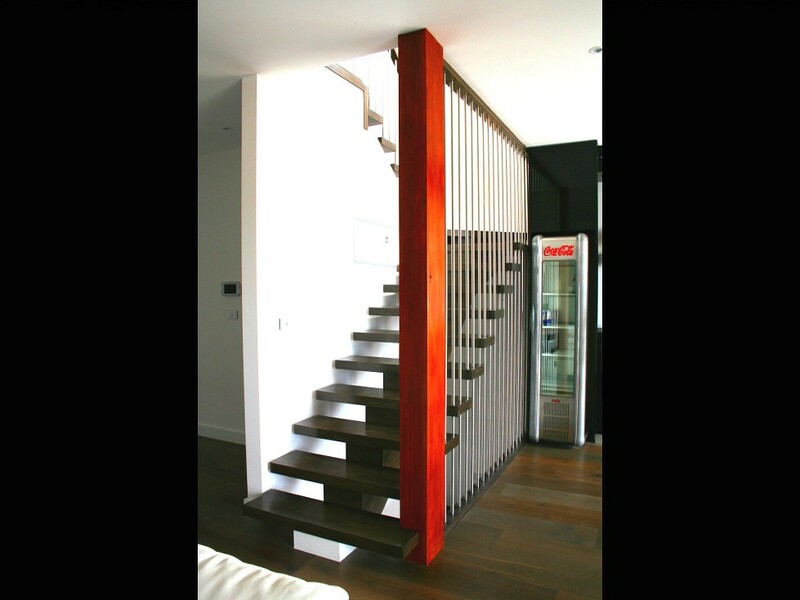 This is stair above stair, a centre carriage string design, is a feature of timber engineering and execution. 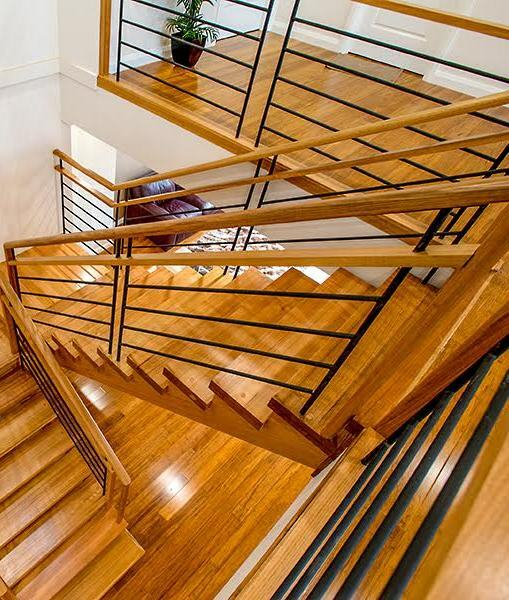 The back-sawn Victorian Ash gave the ownerof this Caroline Springs home a valued added aesthetic to his home, for the same price as a standard hardwood. 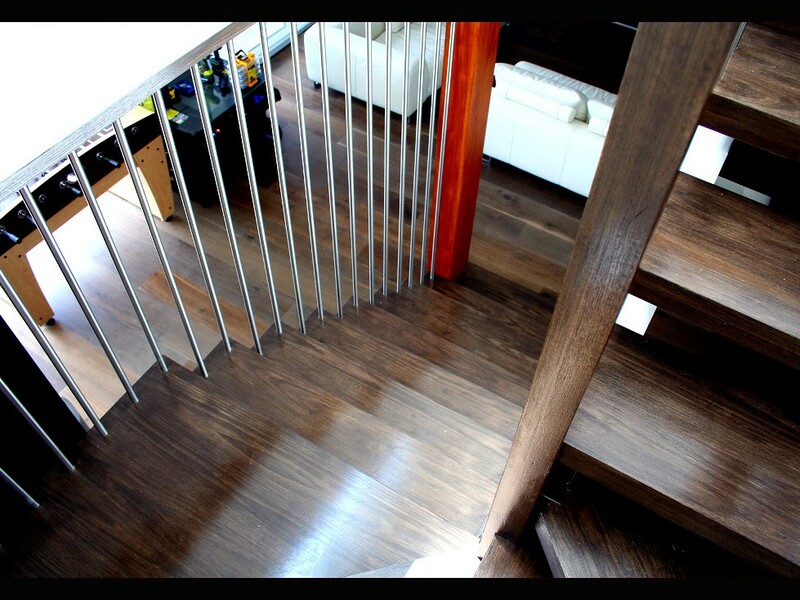 The client elected to have a dark stain through the staircase to match their flooring, and accentuate the open grain of the beautiful back-sawn timber. 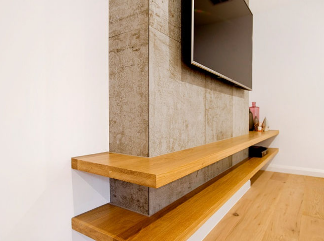 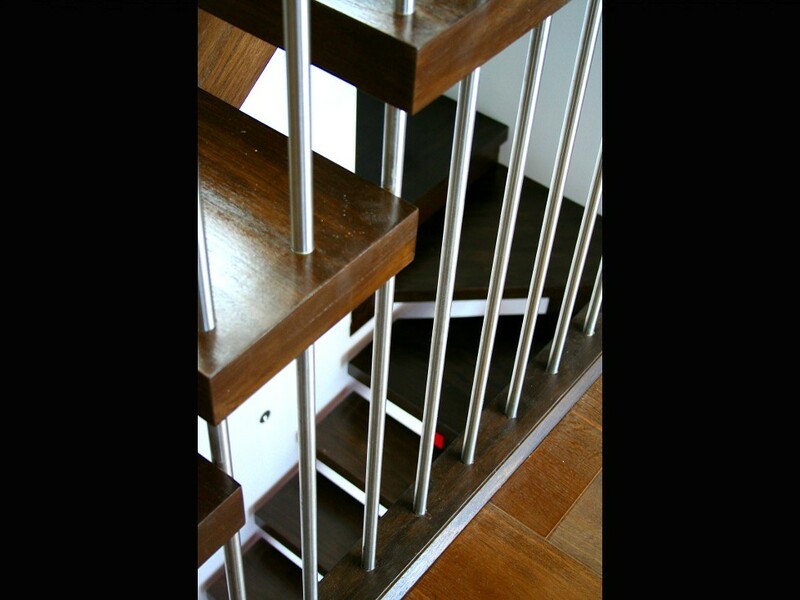 This thoughtful design has the lower flight of the lower stair ‘closed’ with square set nosings, providing a storage area for the lower level while the upper flight is open with a centre carriage string. 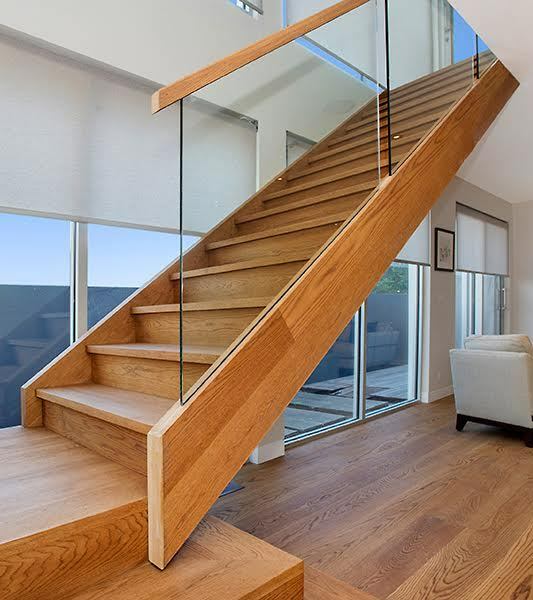 The upper stair also has a centre carriage design allowing light to emanate from above, giving it a ‘lighter’ feel and creating architectural interest around the winders. Bridging between each stair is in the full height vertical stainless steel balustrading, serving to expand the sense to vertical space from bottom to top. The balustrading is stainless steel tubing.